Looks like the Queen had a 'Come to Jesus' moment and realized that the idea of having Halle Berry play her in a biopic was a little far fetched even in Hollywood standards. She has decided that maybe Fantasia or Jennifer Hudson would be better suited in tackling the role of the almighty Queen. 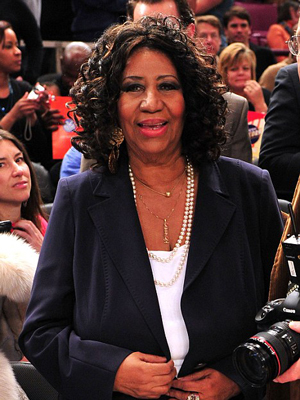 "They're both very good singers and very good actresses," said Franklin, revealing that there will be a younger and older Aretha — perfect for two actresses. "My feeling is that we'll end up with two Arethas, one younger and one older. And you never know who we'll find." Aretha has a new album coming out May 3rd called "Aretha: A Woman Falling Out of Love" which will be her 38th studio album. Now that's called longevity, honey.